When I was having my first baby there was one thing on the baby gear shopping list that I just couldn’t wait to get my hands on – a BabyBjörn carrier. To parents they have become an essential for ‘hands-free’ time, keeping babies close and getting around without the pram. To me (anticipating the arrival of my first baby), they were simply cool and babies looked so darn cute peering out at the world around them. 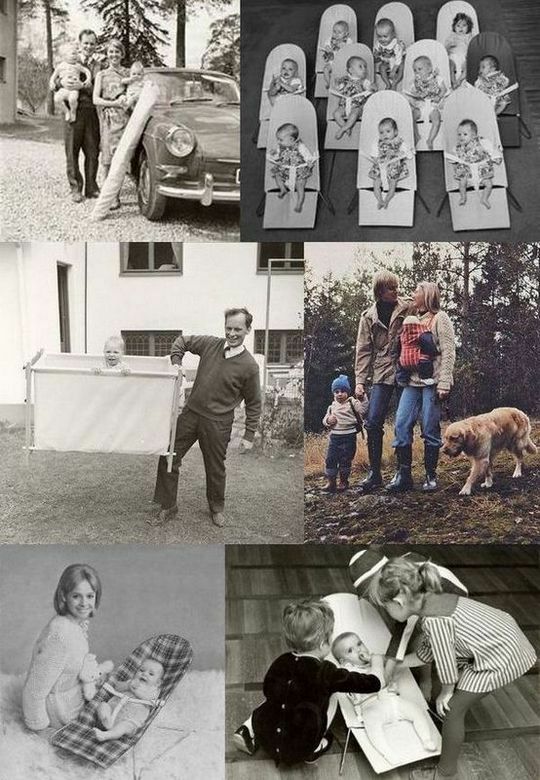 This year marks the fiftieth anniversary of BabyBjörn – that’s a lot of baby carrying and baby bouncing! Check out the two video clips below – the first shows the story behind BabyBjörn and the second shows many of BabyBjörn’s unique design features, including the neat ‘slide-in’ clips on the carriers that new parents quickly become familiar with. To celebrate the fiftieth anniversary, BabyBjörn has released two new carriers featuring retro colours and design (sure to be how all the cool bubs will be getting around this season). Shop online for BabyBjörn carriers, bouncers, travel cots and accessories at Urban Baby.